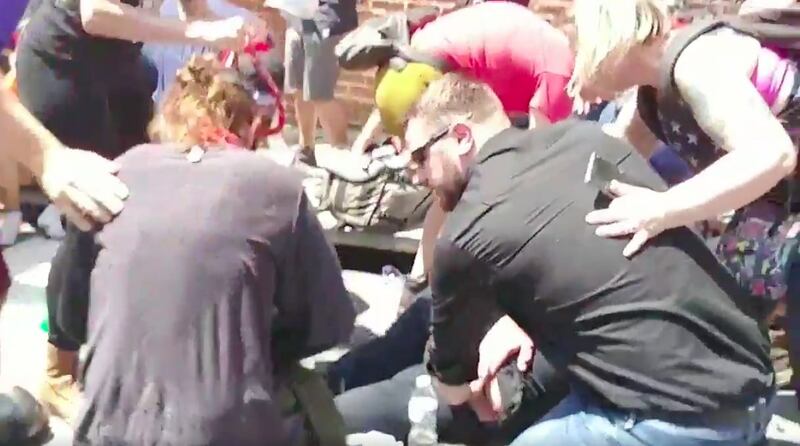 On Saturday alt-Left and alt-Right groups battled in the streets of Charlottesville, Virginia. One woman was killed when a neo-Nazi ran his car into a crowd of far left, antifa, Black Lives Matter and Alt-left protesters. 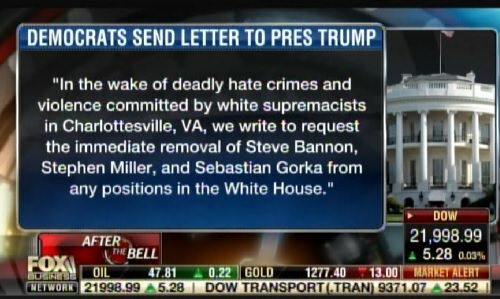 In response to the attack Democrats today sent a letter to President Donald Trump demanding he fire Steve Bannon, Stephen Miller, and Sebastian Gorka… Because they don’t like them. Once again Democrats are playing politics out of the horrific battles and deadly attack in Virginia. What a horrible group of people.